The mobile app for iOS and Android that facilitates a pub crawl in any location. The underlying data comes from Triposo and the Google Places API. The app divides the world up in a grid with small grid cells where, for every 30 minute interval, for each user in the same grid cell, it presents the same three, places to get a beer. 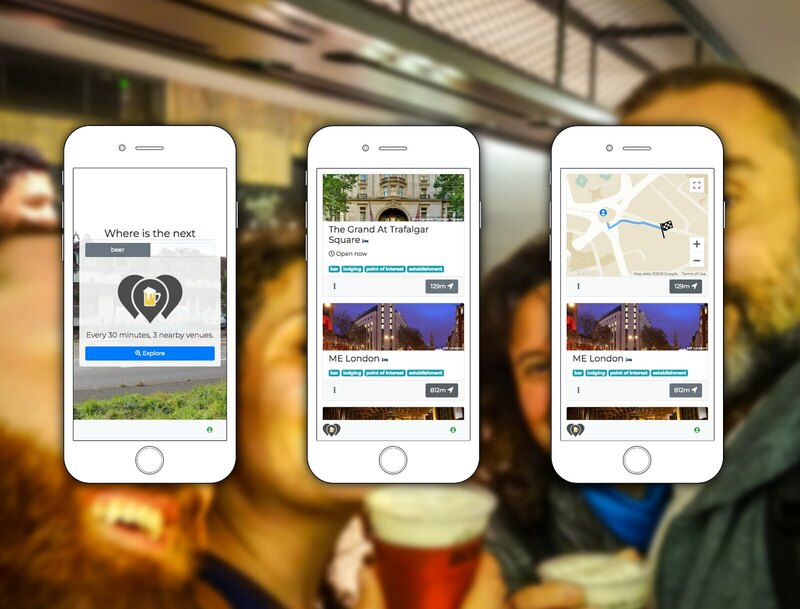 As a bonus, the app also can present the user with three nearby (touristic) sights. The app is available for Android, with an iOS version coming soon.